Programs | Neutral Ground | Milwaukee, WI | Train. Belong. Evolve. Made popular by the world of Mixed Martial Arts, Brazilian Jiu Jitsu has been named one of the most effective martial arts in the world today. It promotes the principle that a smaller, weaker person using leverage and proper technique can successfully defend themselves against a bigger, stronger assailant. Neutral Ground’s Brazilian Jiujitsu is a technically aggressive style, utilizing technique over strength, explosion, flexibility or stature. We rely heavily on time tested fundamentals, allowing us to safely experiment with the ever-changing innovations and adaptations that give Brazilian Jiujitsu it’s strength. Although we follow our standard rotating curriculums, students are encouraged to experiment, adjust, and expand on their individual expressions of the art along the way. 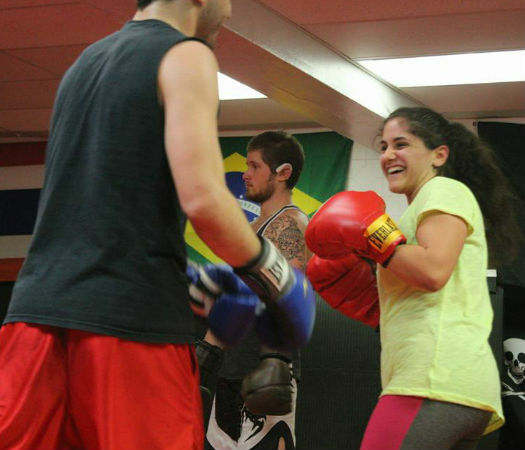 Our Muay Thai class is a combat based class designed to teach the art of Muay Thai/kickboxing/boxing. We blend all three of these striking arts together to try and create the best system to keep you safe whether you are in a self defense circumstance or a competition kickboxing/MMA fight. This class is open to young teenagers to grown adults. This class offers a great workout as well as learning and applying techniques in a safe and friendly environment. Whether you want to become a competition fighter or just want to learn how to keep yourself safer in a self defense circumstance, this is a perfect class for you. Our kids program is a grappling based self defense system. Safety, fun, character building, and technical development is our focus, in that order. We do this through the principles of Brazilian Jiujitsu, fostering a relaxed but disciplined, laid back atmosphere that nurtures learning and comradery within their groups. We break the children up into groups and skill sets, ranging from 4-11 years. 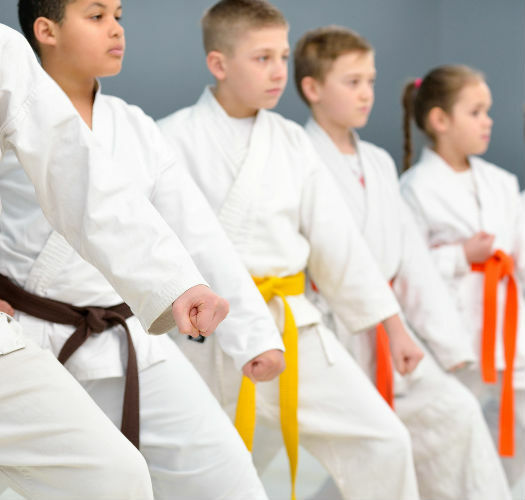 They start out with functional warmups, mastery of technical games, and continue to live training and more advanced skill sets in the curriculum. Several of our kids have already transferred to the adults, and their kids class experience helps them to thrive there! 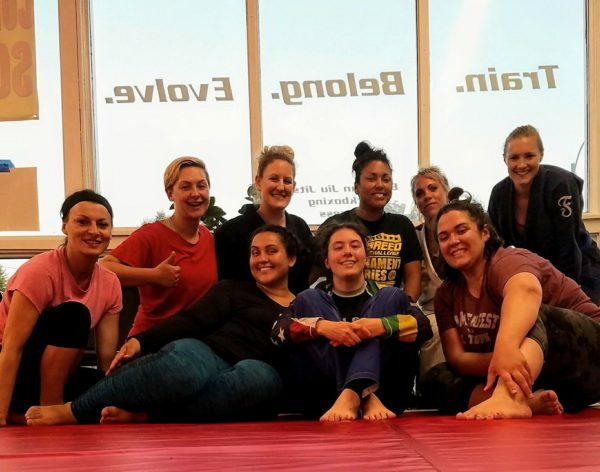 Led by Neutral Ground’s most experienced female grappler, this women’s-only Brazilian Jiujitsu class is taught in a non- intimidating female-only atmosphere. It is designed for women that aren’t quite ready yet to jump in with the men. A ton of individual attention and focus on the basics, while keeping it fun, makes this class an ideal start for any women wanting to get their feet wet in Brazilian Jiujitsu. Our strength and conditioning program, much like Jiu Jitsu, deviates quite far from the mainstream “fitness” industry. With its ever-growing lexicon of acronyms and a rather daunting amount of misinformation to wade through, finding an effective, customized, and safe movement practice can be challenging. Whether you can deadlift 500lbs, can do a standing backbend, or nothing more than “12 oz curls”, we can open up and expand your movement practice. 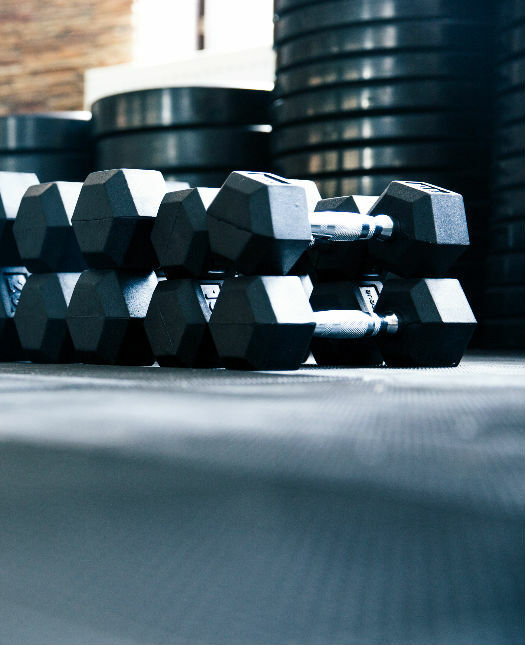 We integrate kettlebells, Olympic weightlifting, barbells, dumbbells, bodyweight, isometrics, yoga, functional stretching and floor work to help you move more fully in Jiu Jitsu, sport and life. No strength and conditioning classes are EVER the same and feature direct, one-on-one attention including personalized movement progressions/regressions. No matter where you are on your movement journey, we can help you to reach your next movement goal, with improved function and fitness.